Welcome to LED Cube Hire. 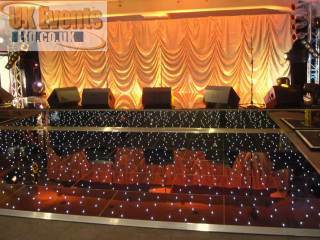 HIRE LED COLOUR CHANGING OR STATIC COLOURED CUBES. 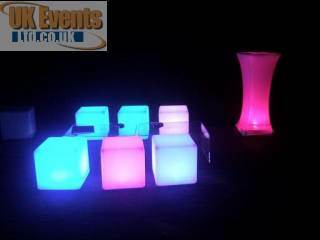 New to UK Events Ltd we are now able to offer vibrant coloured LED cubes. These are ideal for room dressing and for use as furniture including seats and tables. The LED cubes measure 43cm x 43cm x 43cm or 40cm x 40cm x 40cm and are made from a durable frosted plastic compound. The LED cubes are ideal for indoor and outdoor use. 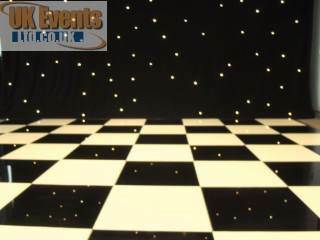 The LED cubes last for up to 12 hours, ideal for long events. If you are hiring our LED cubes for a longer period, you can fully charge the cubes in under 6 hours. The LED cubes have various flash options with a choice of 30 speed settings. 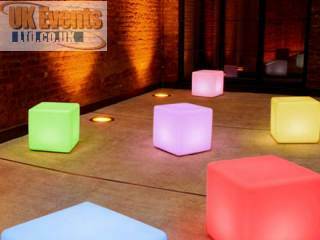 The coloured LED cubes are completely wireless and can be set to almost any colour you require. Each coloured cube has its own remote giving you complete control of it's functions. You can even set the cubes to gradually change colour for the duration of the event. 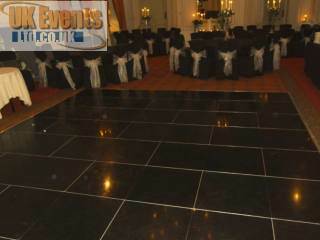 If you are looking to add colour and a touch of class to your event, the LED coloured cube would be a great choice. 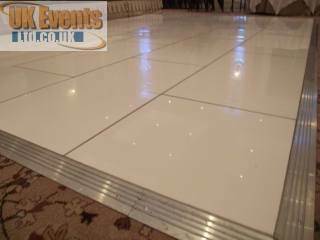 Sitemap | © UK Events Ltd Company No. 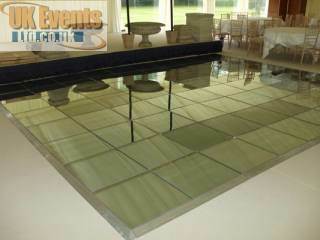 06851338 | © LED Uilliminated Table Hire 2012 | Updated on Tuesday 01 June 2012. 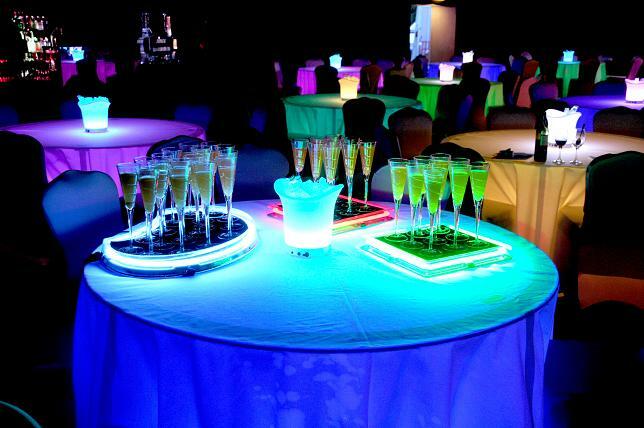 Hire LED Tables.